As the new fly fishing season opens, TasteInnWales hotels launch a new partnership with one of Wales’s top fly fishing guides, Kim Tribe, who as of today is our very own resident fishing coach and guide. 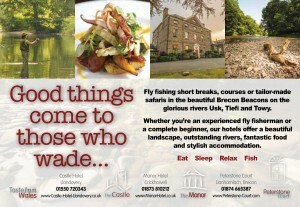 Full details will follow shortly as we announce special fishing breaks to our customers across all our hotels. 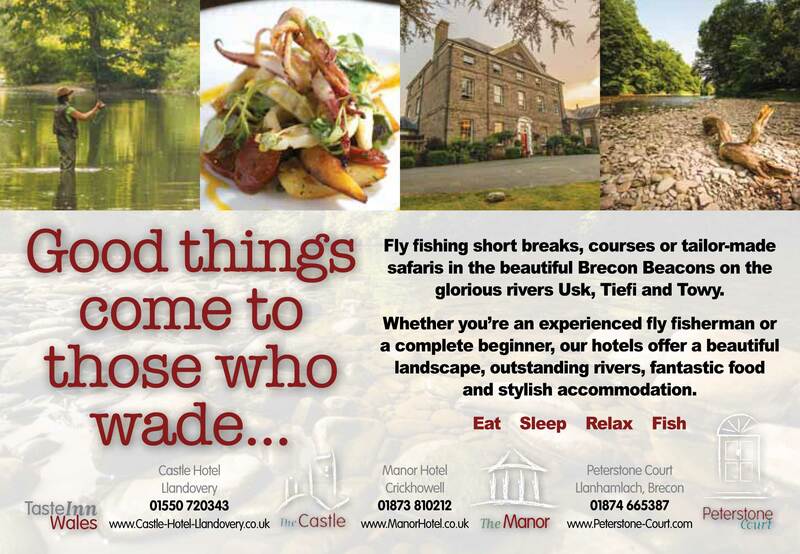 Experienced fly fishermen (and women) staying with us at Peterstone Court can also now fly fish on the River Usk, on a mile of single bank fishing, directly below the hotel throughout the season, at no extra charge.